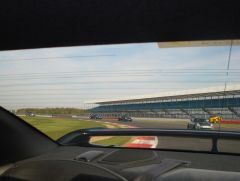 Chances to get reduced cost tickets to the big club event this year the Silverstone Classic are about to end, Early Bird ticket prices are available until the 31st March, the club has also agreed to a part refund to members attending, so check that out on the Silverstone Classic event page. 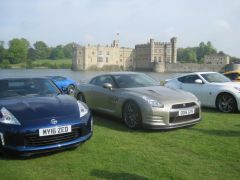 Other great events include the return of the original and best Mod Day, Leeds Castle. Kimbolton and the Workshop Day, all are open for sign ups. Thanks to everyone who made it to the Karting reports were it was great day and evening to those who could make it to the Hotel. 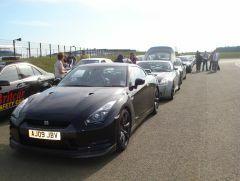 Great to see some old faces, for some it has been too long and other new members out at their first event. Hope everyone had a great time. A few pictures from the Karting and Hotel later. 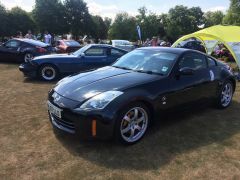 This month the 350Z has been taking its true colours with lots of work in the body shop - this car is really taking shape now better than new. 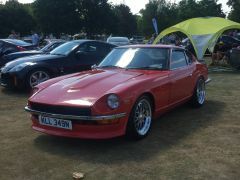 Hopefully ready for Silverstone Classic. As well as fitting the glass - the assembly work now starts. - Book you tickets by Midnight on the 31st March for Early Bird Pricing. Part Refund available for full 2019 members. 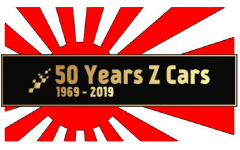 2019 is a massive year for Zed owners, from the classics of the 240z to the latest 350z & 370z with the many models in between. It will be a single chance for all clubs to get together and work together to celebrate a milestone - to make this one weekend not to forget. So put your names down today, we promise to have more information in the coming months as well as information about accommodation and booking club tickets. However, book time off work and make sure the Kennels know. 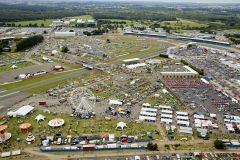 Super Early Bird has now closed but its still possible to register for Early Bird discount for a few more weeks - Two Adult and One Infield Parking on Club Stand Included in Above Price - Includes Paddock Entrance, Open Grandstand Seating, Concerts etc. The Mod day for 2019 will be in April. A Mod day is whatever you want it to be, with a free breakfast. 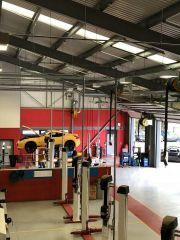 It is a chance to do some work to your car, with a helping hand nearby, or simply someone to keep watch if you are unsure, or you can try the charm and get someone to do something for you. 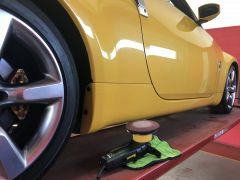 Detailers are on hand if you need help with polishers at the ready. This is always a popular event. Click here to sign up. 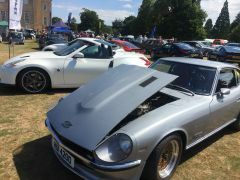 Leeds Castle - Saturday 11th & Sunday 12th May 2019. 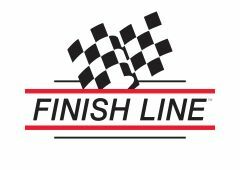 After the success of 2016, 2017 & 2018, this event returns for the 2019 season. As before, this is a 2-day event and you can decide if you would like to attend just one or two days. Anyone attending will be able to visit the castle and all its attractions as part of their (reduced) entry fee. The castle has a lot to offer and there are places to eat and drink and get out of the sun! More details and to sign up click here. 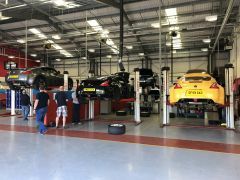 Members only Workshop Day - Saturday 14th September 2019. - Free Event for all 2019 Members - Only a Few Ramp Spaces Left. 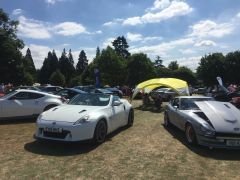 The Club has again arranged for exclusive access to a Motor Vehicle workshop for the day complete with Ramps and members around to give help and advice. 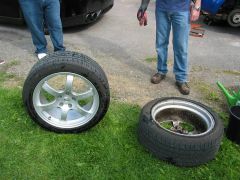 If you have just wanted to get your Wheels off to give them a good clean, wanted to look under your car or undertake that small task without squeezing under the car - this is the event for you. There will be a mandatory Health and Safety briefing by the on-site staff prior to commencing any work. For more information and to put your name down - click here. The first 10 names to request the Ramps get them a reserve list will also be opened for any ramps which become free. 11/5/19 (2 Days) - Motors by the Moat - Register Interest. 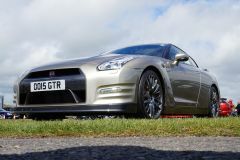 nissansportz are On many Social Media Platforms - Check us out. Add - Follow - Like - Subscribe.